In this day and age, there is a new group of models who are rising and breaking the stereotypical notions of the fashion industry. They are the plus size models. A plus size model is defined as a person who has extra height and weight and they are not their size zero counterparts. Being a plus size model requires them to have a height range of 5’7”- 6 and a desirable and normal body structure. 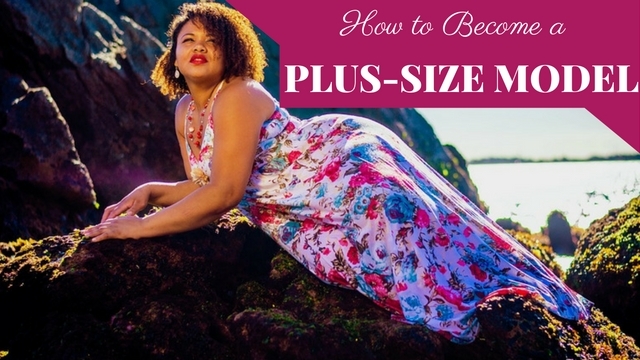 How To Get Started in Plus Size Modeling? For a model to be successful, it is necessary that they should have a portfolio made especially for them. This is for future references for modeling agencies and to check that whether or not you are a good choice for them as a plus size model. If you are a beginner in this field, and you do not have a professionally made portfolio, then most companies do understand the situation. Most modeling agencies will brush this off as a simple matter, considering that you are a newcomer in the field. And if you do not have a portfolio showing your previous modeling gigs, or if do not have more prior experience to modeling, then the other safest option is to have a collection of good photographs. Keep in mind that while posing for such photographs make sure that you do not have any heavy makeup or styling dome for you as this can make it hard for the agencies to decide. Just keep it simple. Take photographs where you are wearing different types of clothes, with a natural, raw and with a bare face devoid of makeup. While taking photographs make sure that the photos are of high quality. Try to take pictures having a full head shot of yourself, and also a full body photo in various attires. The photos should have a normal and flattering feel. Make sure to look as natural as possible. Also, if you do not have good quality photos to submit, then try to show the model agency that you have potential to become a plus size model. Most companies will understand that a newcomer has the limitations to create a good portfolio since they have not done any professional work before. To become famous and well known in the modeling industry, it is necessary that you are involved with the right modeling agency. Try to research and get to know about the best suited modeling agency for you. In this day and age there are more and more people who want to pursue modeling as a career and they are swindled by fake modeling agencies, who trick people into paying money for them so as to allow them to join their company as a model. Keep in mind that a real modeling agency would not ask the model to pay fees before joining the company; this is because many modeling agencies profit from the model directly by taking a certain percentage of their wages. As more jobs the model will get, the more money the modeling agency will get. Also make sure that the modeling agency is real and legit by searching about them through the net and also asking about the agency through your colleagues and fellow models working in the industry. Furthermore, try to contact the most popular modeling agencies in your locality, try to send them an email so as to make an appointment to meet them and talk about the job offers that they offer. Try to look smart and confident while meeting the agency officials. Most newbie models might find the process of open calling for gigs to be a little intimidating, especially if there are a large number of candidates attending for it. It might be very overwhelming for models who find themselves in a large group of aspiring rookie models. Some agencies also require their models to fill out large extensive and detailed forms validating their personal information such as their contact number, their permanent address, and their background details and also their personal information. They might also validate your body size measures by measuring you on the spot sometimes as a part of their company protocol. Always try to keep up a bright personality and just brush away any negative comments that might come in your way. Most modeling agencies have employees who are very straightforward and critical while selecting their ideal model candidate. So it is normal that there will be harsh criticisms waiting for you during the selection process. Whatever the opinion may be, do not lose hope on yourself. Keep up with your confidence, convey your thanks and move on. Also, keep in mind that, if by chance you do not get the casting call from your dream agency, do not be disheartened. Always remember that there are other fishes in the sea. So, another opportunity might be waiting for you. All you have to do is search for it in the right place and occasion. If you have been called by your dream modeling agency, then they will give you the chance and resources to create your own portfolio that will help you to bag your future projects. You will also get the privilege of getting your own visiting cards printed by the modeling agency and as well as having your very own agent or a manager. But, keep in mind that despite of the services that they give to their models, you are in no way obligated to pay fees to them to be represented and marketed as their model on their websites and other resources. You should not also be pressurized to attend their modeling institution unless you are interested. To become a plus size model, there are certain factors that they should have. People aspiring to be plus size models should have at least a height of 5’7” to 6 feet. They also should be able to wear clothes of having a minimum size of 10. Models having clothes sizes of 10 and above are also qualified to become a plus sized model. Other factors include: They should have shapely and well defined legs; they should also have a proportional figure that is very much likeable among women having similar body types. When compared to the slim and fit models, plus size models are large, since the former have a short stature and less height. Though most modeling agencies do require a large number of slim models, nowadays there has been a high intake of plus size models. Especially for promoting plus size clothing. So it is a wise move to make a call to the various modeling agencies and enquire whether or not they accept plus size models as their employees. The following mentioned are few tips on how to become a plus size model with no experience. Before sending out your various professional photos and your portfolio, always try to do a little bit of research on who do you want to send this to. This can reduce a number of rejections and also ensure that you are being selected to the right kind of agency,i.e modeling agencies which actually accepts and takes in plus size women as models. This is because after doing a good amount of time on research, you might get to know what each modeling company wants in their ideal models and this might even prevent you to send your portfolio to the wrong agency and get yourself rejected on the first step itself. Also, its a good idea to keep a list or make a spreadsheet about the various companies that you have sent your portfolio to and also the status of each application sent, just to keep track of your application process. This is one of the most important questions that every aspiring plus size model has to ask them. Even though it is one of the most undesirable and hard to answer questions that each newbie model has to ask to themselves. Models do not necessarily have to be jaw dropping beautiful and pretty for their jobs. Personality and behavior is also an important factor for being a successful model. If you are unsure about your natural beauty, then personal imperfections such as unique teeth, different hair textures are also accepted. If you are an individual who has always dreamt of having a reputation and are also confident and happy to be in front of the camera, then most probably you will try to be an aspiring model. No one can just become a model right away; it takes a lot of hard work and patience just to be able to be recruited in a modeling agency. So, as a part of the research try to contact with plus size modeling agencies and try to bag an opportunity of an interview or make sure that you get an appointment for them to discuss about your various doubts and plus size modeling opportunities. During the interview, try to be confident and ensure that you sound intelligent and brilliant. Also, try to take criticisms and comments positively in an optimistic manner. Also, before going to the appointment make sure that you have a portfolio ready to back up your talents and skills. Be versatile with your work and show them that you are able to pull off any look. Staying healthy and fit is not only important for slim fit models, but is also essential for plus size models. Always try to keep a successful routine and try to follow a strict regime which includes exercising, eating healthy and having lots of sleep and rest. Models should also ensure that they drink lots of water and fluids just to make your body more healthy and alert. You can start taking care of yourself through exercise and a healthy lifestyle, while waiting for responses from the various modeling agencies that you have applied for. This also makes you more happy about your body and helps to boost your confidence. As mentioned before, the fashion industry is highly competitive and as a result lots of people end up competing for a good offer or position to safeguard their careers. This also means that an aspiring model has to face a lot of harsh criticisms and rejection as a part of this process. Even though in this day and age, plus size women are slowly becoming a trend, the fashion and modeling industry is still dominated by slim fit women. This is also another reason why many plus size women do not get enough chances to be recognized and appreciated. The best method that one could follow is to keep on trying hard, until you reach your target. Do not lose hope along the way and strive what you want to achieve and make your passion into a career. To help you keep on going in your pursuit of your passion, try to be inspired by talking to many successful and famous models or you could try to read their blogs and videos and understand about their day to day activities. It also gives us an insight about the norms and functions of the modeling world. To survive in the fashion industry as a plus size model requires lot of hard work, determination to be recognized and also they should develop a thick skin to handle all the negative criticisms that are thrown in their way.